Rep.-elect Alexandria Ocasio-Cortez has plans for a Green New Deal to lift all boats and it appears to be working already. Her resolution has inspired a team of Black scholars poised to take the lead on facilitating her initiative. The New Consensus is a 501C3 policy group created to mobilize Progressives into taking ownership of this resolution spearheaded by one of their own. They intend to be in place with the ideas and the capacity to put the hydra-headed marvel to work. 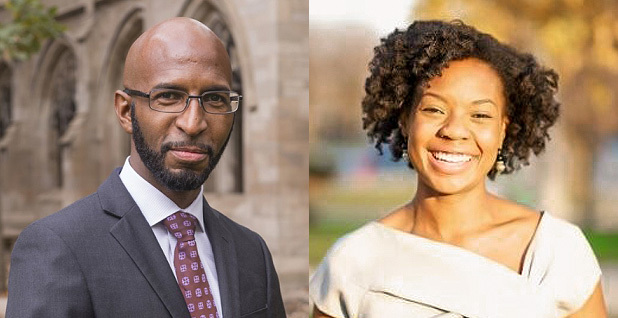 Twenty-nine-year-old Yale graduate and Rhodes scholar Rhiana Gunn-Wright will head the policy group and work alongside tech magician and organizer Demond Drummer. They are both from Chicago. She was the policy director for Abdul El-Sayed, a candidate in Michigan’s Democratic gubernatorial primary whose campaign featured an aggressive clean-energy platform. Drummer is the co-founder and executive director of the Chicago youth mentoring and education program CoderSpace. He and Gunn-Wright are positioning New Consensus to help point out the actual meat on the bones of Ocasio-Cortez’s plan. At a time when Democrats are belatedly realizing that middle-of-the-road messaging is taking a backseat to bold and impassioned politics, Gunn-Wright and Drummer are inspired by Ocasio-Cortez, who recently joined a group of protestors outside House Speaker Nancy Pelosi’s office to demand that climate change be given serious and immediate attention –an unprecedented action for an incoming Congress Member and a shock to the body politic. The Green New Deal asks that poor people, the unemployed, and those who’ve faced racial, gender and other factors in the quest for a living wage, be first in line to be trained for and fill the new jobs. And along with climate change, lawmakers must address environmental justice, often denied to many Black and brown people due to systemic racism. New Consensus is figuring out the ways in which the new policies can lead to green jobs across all sectors of the community, rather than leaving those with less behind. The policy group posits that one of the paths to full funding is a public “green bank.” The bank would offer financial support to communities in need of clean energy and environment and better and more viable transportation. Investments in zero-carbon technologies could be made through the bank. Gunner-Wright and Drummer will spend a good amount of time and energy seeing to it that opportunities are available to all in the new green society. Job training, a living wage, labor union protections, and universal healthcare are crucial to ensuring that those most affected by the negative impacts of climate change – with its threats to the health and employment – are prepared and protected.